“Aftercare means the care of Thoroughbreds after their racing careers are finished. It is Thoroughbred racing’s efforts to assure that Thoroughbreds have a safe landing off the racetrack after racing. Mostly it means getting a horse ready for another career, as racing is only a short part of a horse’s life. Thoroughbreds are incredible athletes. 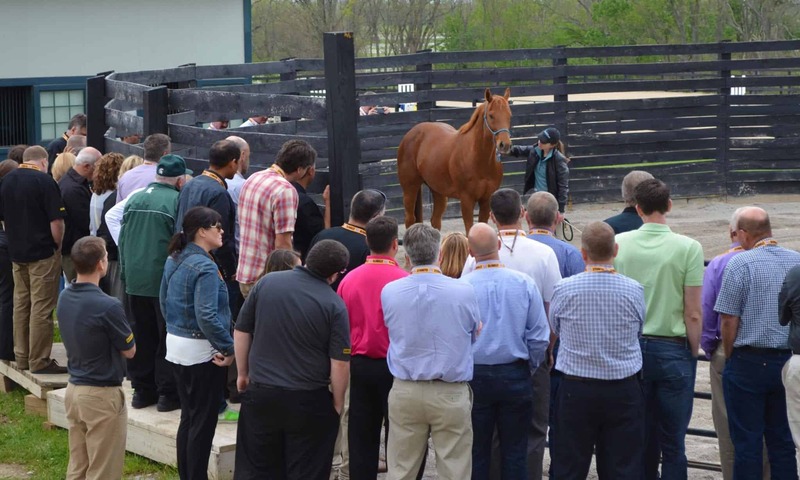 Thoroughbred Aftercare Alliance, known as the TAA, has 64 accredited organizations with 164 facilities across North America with the majority of these organizations training Thoroughbreds for these new careers. They are hands-on organizations that the racing industry is proud of and are fascinating to see. Thousands of horses go through these facilities each year, resulting in Thoroughbreds finding success in second careers as Olympic-level jumpers to police horses and more.”[/vc_column_text][vc_single_image image=”2542″ img_size=”large” add_caption=”yes” qode_css_animation=””][vc_separator type=”normal”][/vc_column][/vc_row][vc_row css_animation=”” row_type=”row” use_row_as_full_screen_section=”no” type=”full_width” angled_section=”no” text_align=”left” background_image_as_pattern=”without_pattern”][vc_column][vc_column_text]Why would you encourage visitors to include Thoroughbred Aftercare Alliance- accredited organizations, such as Maker’s Mark Secretariat Center or Kentucky Equine Humane Center, in their Horse Country Tours? “Fans of the sport should see what our equine athletes are capable of after their racing careers are finished. 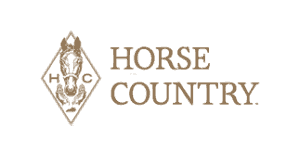 Being able to tour these TAA-accredited facilities and learn about the work being done shows that these horses are successful in other non-racing careers – that’s something the racing industry is proud of and wants to show off.”[/vc_column_text][/vc_column][/vc_row][vc_row css_animation=”” row_type=”row” use_row_as_full_screen_section=”no” type=”full_width” angled_section=”no” text_align=”left” background_image_as_pattern=”without_pattern”][vc_column][vc_single_image image=”2583″ img_size=”large” add_caption=”yes” qode_css_animation=””][/vc_column][/vc_row][vc_row css_animation=”” row_type=”row” use_row_as_full_screen_section=”no” type=”full_width” angled_section=”no” text_align=”left” background_image_as_pattern=”without_pattern”][vc_column][vc_column_text]What kinds of things will someone see while visiting a Thoroughbred Aftercare Alliance- accredited organization? [/vc_column][/vc_row][vc_row css_animation=”” row_type=”row” use_row_as_full_screen_section=”no” type=”full_width” angled_section=”no” text_align=”left” background_image_as_pattern=”without_pattern”][vc_column][vc_column_text]Why is aftercare an important part of the story to tell when talking about the Thoroughbred industry in Kentucky? “All good horsemen love the sport of racing and their horses. If the sport doesn’t take responsibility for horses at every level, then the breed, the sport, and the culture around it may not survive. Aftercare is a key part of that responsibility. 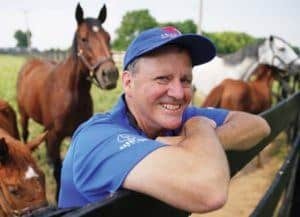 And in horse-centric Kentucky, we are lucky to be surrounded by some aftercare organizations that are doing phenomenal work.”[/vc_column_text][vc_single_image image=”2541″ img_size=”large” add_caption=”yes” qode_css_animation=””][vc_separator type=”normal”][/vc_column][/vc_row][vc_row css_animation=”” row_type=”row” use_row_as_full_screen_section=”no” type=”full_width” angled_section=”no” text_align=”left” background_image_as_pattern=”without_pattern”][vc_column][vc_column_text]What can someone do to get involved to help support Thoroughbred aftercare efforts? “Tour the TAA-accredited facilities and learn about the work they do. Those who want to support the TAA’s efforts can donate to the TAA. The TAA uses its funds to accredited and physically inspect organizations to make sure they are up to the TAA’s code of standards, and the TAA also gives grants to organizations earmarked specifically for equine care. Another way to get involved is to find accredited organization in your area and see if they need volunteers. And of course, talking about and sharing the message of accredited, responsible aftercare is important.”[/vc_column_text][vc_single_image image=”2551″ img_size=”large” add_caption=”yes” qode_css_animation=””][vc_separator type=”normal”][/vc_column][/vc_row][vc_row css_animation=”” row_type=”row” use_row_as_full_screen_section=”no” type=”full_width” angled_section=”no” text_align=”left” background_image_as_pattern=”without_pattern”][vc_column][vc_column_text]How do I learn more about aftercare or find an accredited facility in my area?